Whatever type of running you enjoy, there’s nothing worse than experiencing chafing, blisters, and even worse problems from too-tight shoes. But one of the most prominent problems runners face is finding shoes that fit their wide feet properly. As current research shows, there are significant benefits to shoes that allow toes to splay naturally. 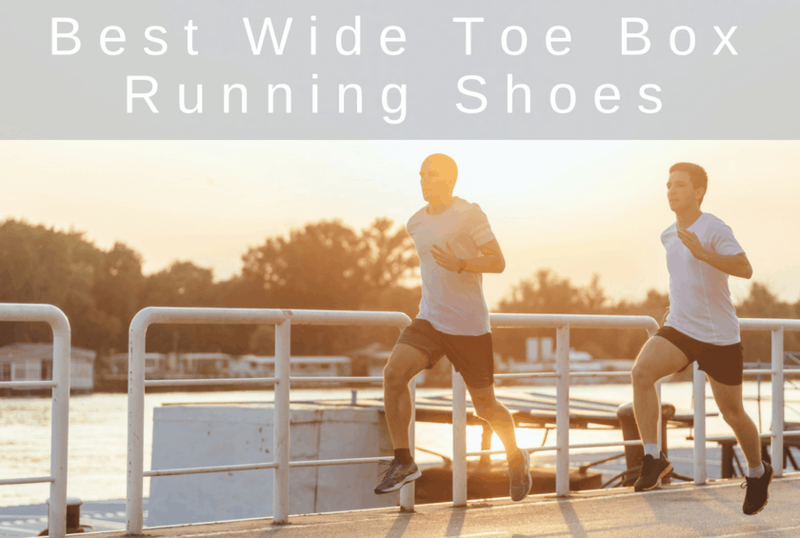 When it comes to wide toe box running shoes, there are a few brands (such as Altra) that have positioned themselves as leaders in the industry. However, there are plenty of options at every price point and comfort level. Finding a great wide toe box running shoes for your next road or trail run is easy these days. With both women’s and men’s sizing, the Torin 3.5 Knit is Altra’s best-selling road shoe. These neutral shoes have a sock-like upper, as the “knit” name suggests. The soft “boot” helps keep you comfortable while maintaining a secure fit. Altra’s Footshape toe box lets your toes splay naturally and keeps your big toe in a straight position. A flexible midsole and an energy-returning compound cushion add comfort no matter what the surface conditions. And with a zero-drop platform, you’re reaping all the benefits of a neutral shoe while protecting your feet and promoting a midfoot/forefoot strike. The whole point of wide toe box running shoes is to accommodate a wide forefoot and allow toe-sply. But those who experience rubbing with traditional running shoe materials will appreciate the 3.5 Knit’s construction even more. Plus, a “high” level of cushioning, on Altra’s scale of light to max, makes for a more forgiving rebound no matter the surface. If you want ultimate comfort, these Altras might be just what you need. Although they offer a less “cushy” ride than the Altra Torin 3.5 Knit version, Altra’s Escalante 1.5 still manages to provide comfort and performance. Moderate cushioning and a 6mm contour footbed mean you receive more sensory feedback from the conditions below your feet. However, Altra’s midsole compound is still present, giving you increased energy return to maximize your run. Rather than mimic every feature of the original Escalante, version 1.5 makes a few improvements. The Escalante update adopts an updated knit with reflective properties, better breathability, a tongue stay, a trimmer heel cup, and even new color patterns. At the same time, you’ll find the “plush” feeling of the original Escalante in this version, too. Overall, you can expect the same durability and comfort of prior models. 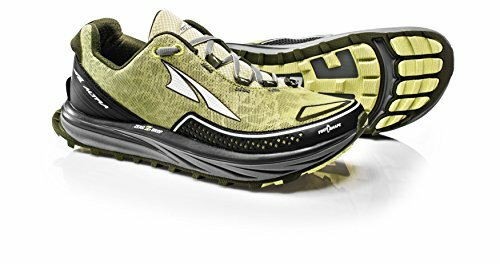 But at the same time, Altra has given consumers more features that make these shoes fashionable as well as functional. The New Balance 1080v8 has one of New Balance’s widest toe boxes. And New Balances tend to have a wide toe box anyway. With the plush, soft cushioning, your feet will be happy with this shoe. The new-sew upper helps keep the shoe snug without rubbing in uncomfortable places. The Fresh Foam midsole gives additional cushioning while maintaining a neutral running position. The mesh upper is supremely breathable, and a blown rubber outsole helps grip the road with “flex grooves” for traction. There’s also the Ortholite Premium insole, which helps give a bit of arch support and adds to the level of cushioning. 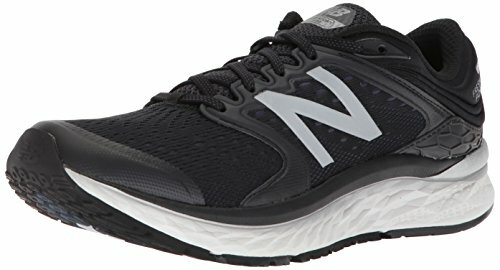 Though the 1080v8 is the most recent of New Balance’s Fresh Foam offerings, it does run a bit heavier than its predecessors. That said, with the amount of padding it packs in, it’s a decent tradeoff for the comfort level. And while not all the 1080v8s can be billed as “wide toe box,” they do offer multiple widths from Narrow to X-Wide. That means you’ll be able to find the right fit regardless of toe splay. Plus, wearers with plantar fasciitis report that the support helps reduce pain with daily wear. 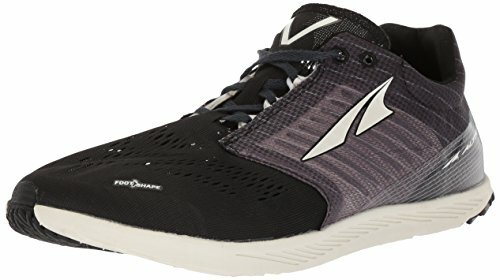 Although the Vanish-R shares the same FootShape Toe Box and Zero Drop Platform as other Altra models, it offers at least one unique benefit. Its Propel Plate is a springy addition that aids with push-off, helping you increase energy return and move faster. The Vanish-R focuses on performance and speed, so it has little in the way of cushioning. Altra rates it as “light” in the padding category, but overall, that means a lower profile and quicker response. Plus, the stack height is a trim 14mm, meaning there’s less bulk all around. Further, each pair of Vanish-Rs comes with two sets of insoles so you can customize your running experience. Note, however, that using both included insoles will create a tight fit, and Altra recommends removing one to wear the shoes. And while the Propel Plate claims to add responsiveness on the road, many wearers notice that the soles are somewhat stiff. That said, the performance and low overall weight (just under four ounces) mean most runners are willing to accept the tradeoff in flexibility. A maximum level of cushioning makes Altra’s Paradigm 4.0s feel like running on a cloud. 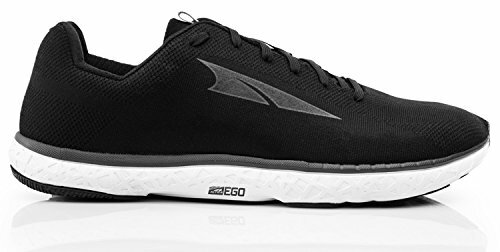 The unique Altra EGO midsole has plenty of padding plus energy return, meaning you won’t feel bogged down with this hyper-cushioned shoe. Along with the classic Altra FootShape Toe Box and Zero Drop platform (with a 30mm stack height), the Paradigm 4.0 also utilizes foot-guiding technology to prevent fatigued and ill-positioned feet. 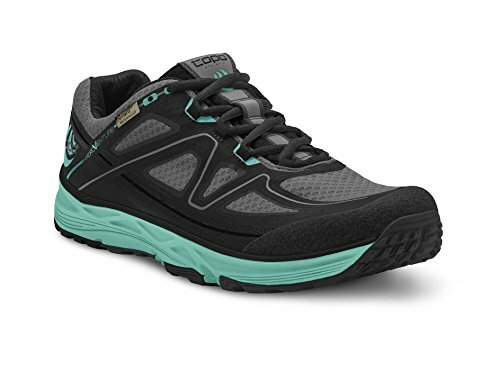 The Guiderail gives feet support to avoid pronation, keeping you in-line while on the road. StabiliPod technology “acts as a stabilizing tripod,” Altra explains, giving your foot support at three points to reduce foot collapse and pronation. 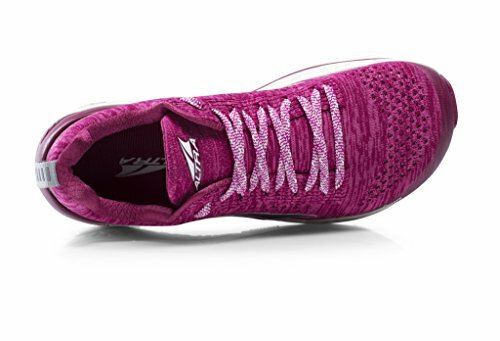 The knit upper offers breathability and gentle support while maintaining stability, so you won’t need to worry about slippage despite the amount of cushioning. As with Altra’s other support shoes, the midsole compound helps with energy return, so despite its heft, the Paradigm 4.0 shouldn’t feel sluggish. That said, it does weigh just over 11 ounces, a bulky fit for those unfamiliar with this level of cushioning and support. Topo’s zero-drop Magnifly 2 shoes use an injected EVA midsole that is more forgiving on your feet and firmer on the bottom layer for top responsiveness. They’re ideal for road running, thanks to a toe rocker that promotes transition and proper toe-off with a natural gait. With a 25mm stack height and a weight of 10 ounces, runners who are accustomed to a lower-profile shoe may find the Magnifly 2 to be bulky. However, the combination of cushioning and breathable materials makes for a comfortable run. At the same time, the support features and stiffer pliability enhance the stability of the Magnifly 2. While most road shoes highlight zero-drop as supporting natural gait, many runners want more for. Some rigidity is welcome to keep feet in the proper position. However, the Magnifly 2 doesn’t claim to be a stability road shoe, so don’t expect the full support of that style. While Topo’s toe box is narrower than, say, Altra’s, runners who judge the Altra as too roomy will find a compromise with Topo. Their “anatomical toe box” isn’t excessively broad, keeping a snug fit while allowing toes to splay naturally. There’s a reason Brooks calls them the “Ghost” – because the stretchy engineered mesh almost seems to disappear from your foot. Runners note that the forgiving mesh upper is breathable and comfortable without sacrificing function. And unlike zero-drop running shoes, the Ghost 11 has a 12mm midsole drop that caters to medium and high arches. Plus, there’s a heel crash pad to help soften your landings, along with a Segmented Crash Pad under your forefoot for better performance. They may weight just under 11 ounces, but with the amount of seemingly weightless cushioning the Ghosts have, the tradeoff might be worth it. You also won’t find the 11 to be particularly rigid, since two types of cushioning come together to enhance responsiveness without adding bulk. If you need a little extra support for your arches, or just want a more responsive shoe that doesn’t sacrifice comfort, the Ghost 11 may fit the bill. From the top, they look like any other Altra model. But the Provision 3.5 incorporates all the signature support features Altra is known for. 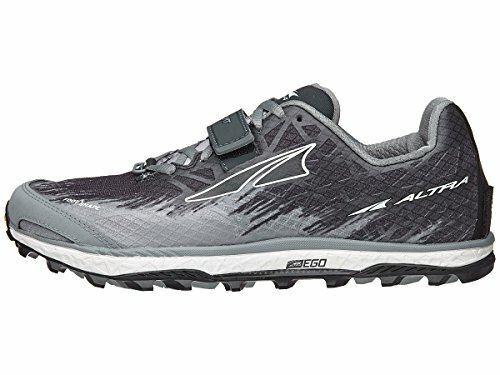 Starting with a zero-drop platform, Altra pays attention to performance, but they’ve also added stability measures for pronating and otherwise-fatigued feet. Of course, the Provision 3.5 enjoys the standard Footshape Toe Box, but there’s also energy-return cushioning to help you stay springy. And you’ll recognize the StabiliPod technology from the Paradigm 4.0, but the Provision 3.5 also uses Varus Stability. Varus Stability is a full-length wedge that gives side support in a sloping shape. From the medial to lateral sides of the shoe, the wedge keeps your foot in place. And while these support features add a little bulk – the shoes weigh 10 ounces – the tradeoff is better performance for weak, tired, over-pronated, or fallen-arch feet. In contrast with previous Provision offerings, the 3.5 also has reflective highlightts and a Dri-Lex lining to keep feet cool and enhance wicking. Of course, there’s also the vented mesh upper, a critical component for comfort and breathability. With a 5mm heel-to-toe drop, the Ultrafly 2 starts out with a bit of arch support from the beginning. But it also ranks highly in both stability and cushioning areas, thanks to its Ortholite footbed. The cushion resists compression plus packs odor-eliminating power to keep your feet smelling fresh. And while the 28mm heel stack creates some bulk, the overall weight of the Ultrafly 2 comes in at around 10 ounces. Topo keeps things trim thanks to the molded footbed, but they also use lightweight and breathable materials for a close and comfortable fit. Hopefully, you can also avoid rubbing and blisters on your run, thanks to the seam-reducing construction Topo uses. At the same time, a closer fit through the heel and midfoot helps with performance and minimizes rubbing. Of course, the Ultrafly 2 maintains the roomy toe box that Topo has a reputation for, but you won’t find a range of widths in this style. However, one improvement over previous versions is the updated mesh upper. Topo has worked on making the Ultrafly 2’s mesh more durable to avoid breakdown before the soles themselves wear down. It’s unlikely that Hoka One One receives complaints about the style of their Gaviota trail running shoes – the design is eye-catching as well as functional. Clearly, these supremely-cushioned shoes give stability without compromising looks. The brand’s J-Frame technology gives support to your feet and promotes durability, lessening the amount of energy you use on the rebound. Plus, a moderate heel bevel helps with smoother transitions. A combination of EVA foam and rubber comprises the frame, and there are wing support panels for further stability. And though the primary goal is not a flashy appearance, the 3D puff-print adds to the overall look of the Gaviota. Still, its primary purpose is additional security around your arch and midfoot areas. While the print adds bulk, it doesn’t add much weight- the shoes range between about 8.5 and 10.5 ounces depending on the size. That’s with a 5mm offset, with the women’s heel at 28mm and the men’s at 29mm. Like many of Brooks’ shoes, the Adrenaline GTS 19 has a nice, roomy toebox with a more traditional look than Altra or Topo. The shoe is cushioned, roomy, and supportive. It’s one of the best-selling shoes on the market, mainly because it ticks these three boxes for many runners. In its newest release, Brooks has improved the support with the introduction of guide rail technology. Past versions used a stiff, inflexible piece of foam in the midsole to provide support. The GTS 19 has plastic guide rails where the midsole and upper meet. The idea is that these rails act like bumpers at a bowling alley to realign your foot as it overpronates. The advantage is that the shoe only provides support when you need it. As you overpronate more, it allows for more support. If you overpronate less, it provides less support. Not only does this make the shoe much lighter, but it causes the midsole to wear down more evenly, ultimately making the shoe more durable. The seamless mesh upper remains, providing a streamlined look. It also keeps the weight down. A 12mm midsole drop means the GTS 19 is less a minimalist shoe and more a support-focused one. 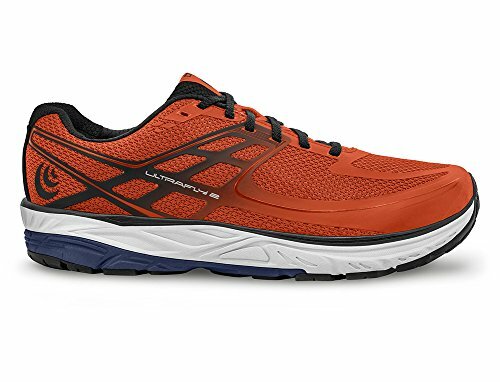 Weighing about 10 ounces, the shoes provide enough structure for flat to medium arch support with BioMoGo DNA and DNA Loft midsole cushioning. The adaptive cushioning helps keep your feet comfortable while the crash pad aids in smoother transitions and less jarring landings. While many stability running shoes can feel bulky and heavy, the GTS 19 is lighter than ever, especially in comparison with past versions of the same shoe. It’s common to see both zero-drop and wide toe box features in the same shoe, and Altra’s Timp is no exception. An in-between model that compromises on cushioning, the Timp looks robust with its 29mm stack height and 4mm outsole lugs. There’s even extra coverage in high-abrasion areas like the heel cap and toe box. You’ll recognize the FootShape Toe Box that’s Altra’s trademark, but beyond that, this trail shoe departs from the features of other comparable models. It uses a hook-and-loop tab for securing your gaiters, protecting from dirt and debris that you wouldn’t encounter in conditions other than rough trails. The tradeoff with the fully-cushioned platform and rubber TrailClaw outsole is that the shoes weigh in at over 11 ounces. Still, the Timp is a tactical trail shoe that is ready to perform over long distances and in fast-paced conditions. Reinforced mesh tops off the features, giving you ventilation without sacrificing durability. 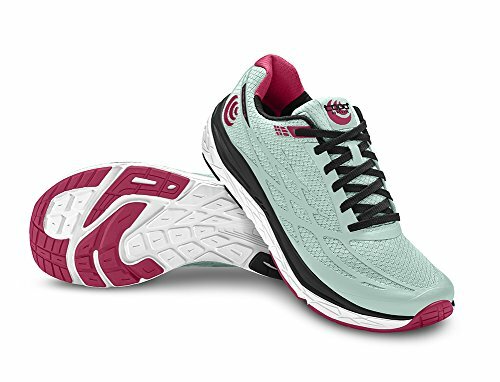 Among wide toe box running shoes, Altra ranks highly in every category. The King MT 1.5 is no exception, thanks to the grippy outsoles and exceptionally wide toe box. Plus, at only 8.5 ounces, these may just be your ideal trail shoe for rough and rugged conditions. You’ll appreciate the familiar fit of the Zero Drop cushioned platform, which ranks as “light” on Altra’s cushioning scale. However, there’s also a 19mm stack height thanks to the Vibram MegaGrip outsole, complete with 6mm lugs. But there’s more to the Kings than the Vibram outsole, including a Gaitertrap tab to secure gaiters, a StoneGuard midsole to deflect rocks, canted lugs to give toe traction, and a Footlock strap that’s adjustable on the trail. Of course, the DuraTread outsole contributes some gnarly rubber that helps you grip tactical terrain. As its name suggests, the Hydroventure is a waterproof shoe, and Topo claims it’s the lightest on the market. At less than 10 ounces at a men’s size nine, it’s a decent balance of the features that it boasts. A 3mm heel-to-toe drop ousts the Hydroventure from the zero-drop category, although this is still lower than most shoes. And considering the amount of traction the shoes offer, less padding is a sacrifice you might be willing to make. The relatively stiff outsole is thanks to a rock protection plate plus a high-traction sole with multidirectional traction and lugs. Heel braking lugs also help with high-speed maneuvering. Plus, mud and snow release features will keep you moving regardless of the conditions. A one-piece upper keeps outside conditions from getting in. It’s breathable too, thanks to the eVent technology, a surprising departure from the industry-standard Gore-Tex application. Are shoes with a wide toe box them same as wide-width shoes? No, they are not. Shoes with a wide toe box are wider up at the top where the toes are, giving your toes more room. They are usually sized as a “B” (women) or “D” (men) width, which are standard, medium width shoes. But the last (the shape of the shoe) allows for more room at the toes. The midfoot and heel are medium width. Wide width shoes offer more room in the entire shoe, not just at the top with the toes. Why do so many wide toe box shoes have a zero drop? A zero drop shoe means that your foot is flat to the ground. In other words, the heel is at the height of the ball of the foot. There is no heel on the shoe. The idea behind zero drop shoes is that they mimic running barefoot. The wide toe box allows your toes to splay naturally (as if you are barefoot) without a shoe constricting them together. 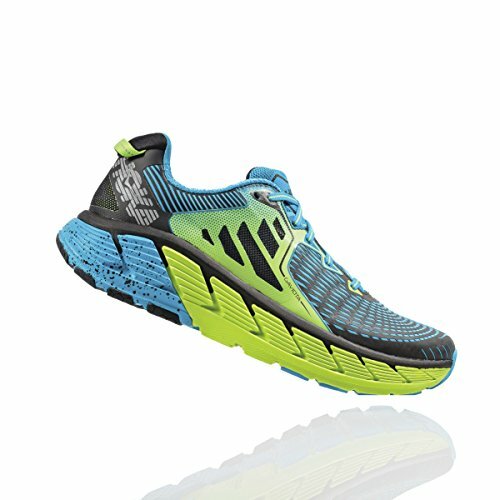 Does running or walking in a zero drop shoe feel different than other running shoes? Yes, running in a zero drop shoe will feel slightly different than in other running shoes with more of a drop. It actually will feel more natural to land on your midfoot in a zero drop shoe, and it will be easier for you to correct if you heel strike in zero drop shoes, as you will feel it in your feet and body. It will be easier to run with good form in zero drop shoes. I have bunions – are shoes with a wide toe box right for me? Yes, absolutely! When you have bunions, you can experience intense pain at the base of your big toe, so the wider the toe box, the better off you’ll be. A wide toe box will give your toes more room to breathe, which will help greatly if you have bunions. As Karen Langone, a podiatrist based in New York notes, “the widest point of your foot should correspond with the widest part of the shoe.” That means that if you have bunions, you need a wide toe box.